One of the nice things that you get when starting an Xtext project is an Xtend based generator that is automatically invoked when you save an Xtext model file. The Xtend generator for your language resides in the .generator subpackage of your language. The problem with that is that it is usually no good idea to have the generator bundled with your language. It is a completely seperate feature which is reasonable to put it in an own plugin. Further, the DSL plugins must not depend on the generator plugin, the dependency must be vice versa. This article describes the steps that need to be done for this. As a reference take the sources from project Spray. There you can find an concrete example where the described steps have been applied. Create two additional plugins: One for the runtime part of the generator, one for the UI contributions. Move everything from the .generator subpackage of your DSL runtime project to the generator plugin. (In Spray this is org.eclipselabs.spray.generator.graphiti). The dependencies are the same as in the DSL runtime project, but add the DSL runtime plugin as additional dependency (see this MANIFEST.MF as reference). Don’t forget to add an xtend-gen source folder to the project. Create a Module class extending AbstractGenericModule in the runtime plugin. In this module at least the IGenerator implementation class must be bound. * Bind the JavaProjectBasedBuilderParticipant in order to invoke the generator during the build. 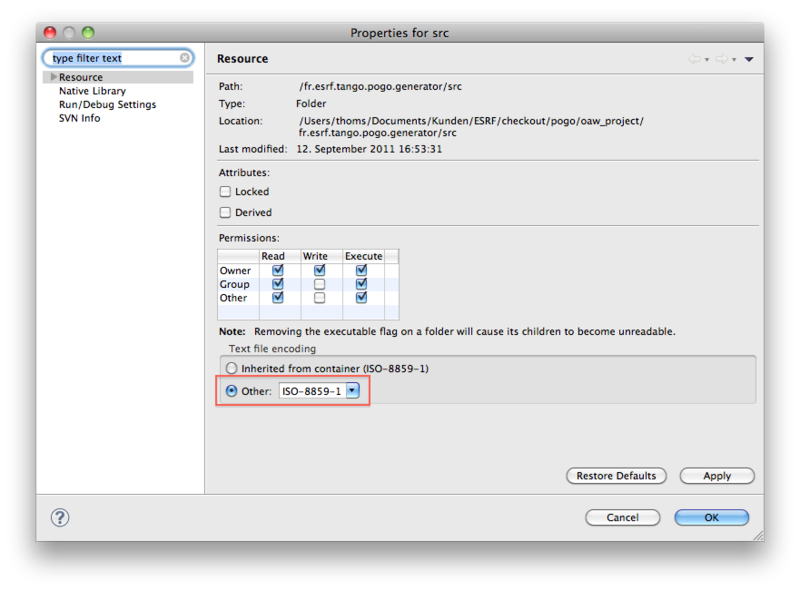 Open the manifest editor. On the “Overview” page enter the Activator class name. Also check the options “Activate this plug-in when one of its classes is loaded” and “This plug-in is a singleton”. Create a class ExecutableExtensionFactory. Since this class won’t be public API it is a good approach to put it into an internal package. Check that the ExecutableExtensionFactory class name matches yours. The generator fragment contributes a binding for IWorkspaceRoot to the UI Module of your DSL, which is required by the builder participant. Therefore this binding must be added manually to your UI Module. As a result your DSL plugins should have no dependencies on your generator plugin. When you save a model file in your Eclipse instance with the deployed plugins the code generator should be invoked. The pattern described here would also allow to create multiple generator plugins for the same DSL which are invoked independently when building the project. Each of them registers its own builder participant and invokes its own generator. A typical problem when running Xpand is file encoding of the Xpand templates. Xpand uses guillemot brackets («»), which are not available in all character sets. Often, ISO-8859-1 and UTF-8 are good choices for encoding Xpand templates. However, on Mac the default encoding is MacRoman, and I would recommend to change that for interoperability reason. I would recommend changing the resource encoding setting on the root folder containing Xpand templates, or even the project, and checking in the settings. This way the encoding is shared amongst team members.